Beliy Ostrog - дуэт "Белый Острог"
Артем Якушенко - скрипка, Юрий Матвеев - гитара. Irkutsk, Siberia, is 150 miles north of Mongolia and home to the most exciting instrumental duo to hit the music scene in quite some time—the Two Siberians. 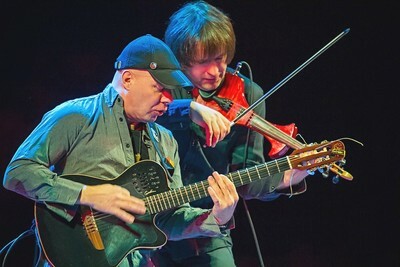 The musicianship of Artyom Yakushenko (electric violin) and Yuri Matveyev (electric guitar) is exceptional and their sound is unique. Renowned throughout Russia and Eastern Europe, performing is in their blood: Artyom’s father, Yevgeny Yakushenko, is the “Father of Siberian Rock” and Yuri’s parents are professional folk dancers. Yuri himself, when he was just thirteen, won the Russian National Competition in Folk Dancing. But it was the guitar that his uncle played while he danced that captivated him. Unable to afford a guitar, he attempted to build his own, repeatedly, until his uncle finally gave him his own prized instrument. Artyom, as a young child, fell in love with a violin case and wouldn’t let go…until he was finally provided the violin. Soon after, he became a child prodigy. Yuri and Artyom met while attending the Irkutsk Art Academy. They experimented with the various musical idioms that found their way to Siberia from the different corners of the world until they finally arrived at a blend that defies categorization. Their concert debut was at a festival in Novosibirsk, Siberia, where they won the award for “Best Original Artists,” but officials at The Irkutsk Academy were appalled. 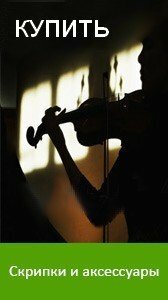 Rock and jazz were not considered appropriate repertoire for the violin, and Artyom was suspended. To complete his degree, Artyom was warned to focus strictly on his classical studies, and he agreed to do so until the day he graduated. A promise not adhered to. 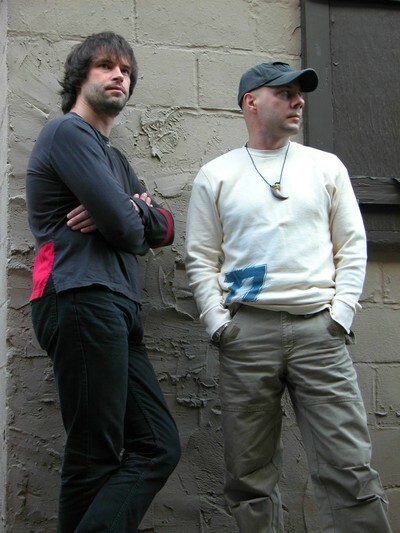 Yuri and Artyom would meet privately and rehearse together for hours at a time, weeks and months on end—which resulted in an amazingly tight hookup between the two musicians; and the pure joy of being able to play together found its way into their writing. Upon Artyom’s graduation, he and Yuri hit the Trans-Siberian Railway and their legend has been rapidly unfolding ever since. After garnering tremendous acclaim throughout Siberia, they borrowed money to travel six time zones to Moscow to make a stand—and succeeded beyond their wildest dreams. They then borrowed money to come to New York—another dream. They played in the middle of Times Square to astounded residents and tourists alike. They so impressed an ABC Nightline producer that they were filmed for a Nightline segment. 11-time Grammy winner Michael Brecker heard the Siberians and joined the club of staunch supporters. As a result, the Two Siberians played at a couple of festivals in the U.S., including at New York City’s famed Lincoln Center. It was alternately reported that Yuri and Artyom “Blew the roof off the stage,” or “…had the crowd on its feet hollering for more” and “…sold 100 demo CDs in the wink of an eye.” The buzz was growing. As an unannounced opening act at Tanglewood, they sold out their cache of 125 CDs immediately after having played to just 700 concertgoers. Siberian heat. First Place, 2011 International Songwriting Competition (Instrumental category). Musician of the Year 2012, RAW Portland Artists Showcase. Grand Prize winner, Tom Jackson Song Makeover contest on Broadjam, March 2012. Fusion Song of the Month on Broadjam.com, Nov. 2011. Crowd Favorite Award, Rochester International Jazz Festival, 2003. Golden Mask Award (Russian national music and theater award) for their Children's Theater score, "Winter's Tale," 2003. Golden Mask Nomination for their ballet, "My Green Love," 2000. 1996: Ancient Cave (LP, Russia. This and all subsequent albums released in Russia were released under the band name "Belyi Ostrog," the Russian words for White Fort).